In a 25 cm non-stick frying pan, heat oil over medium heat. Add chicken; cook, stirring occasionally, until brown on both sides. Sprinkle with taco seasoning mix. Cook chicken until cooked through. Make guacamole. In medium bowl, mix 3 avocados with chopped fresh coriander leaves, salt and the lime juice. Mash with a potato masher or fork. 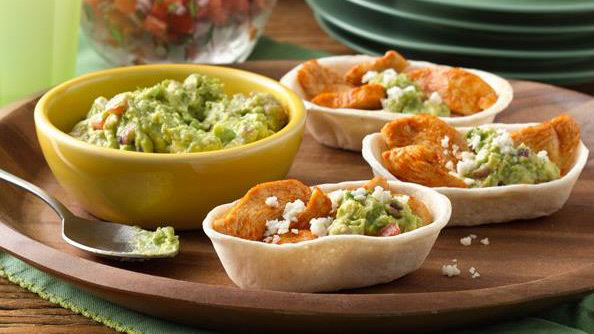 Divide chicken mixture among warmed tortillas; add guacamole, tomatoes, coriander and some crumbled goat cheese. Enjoy!